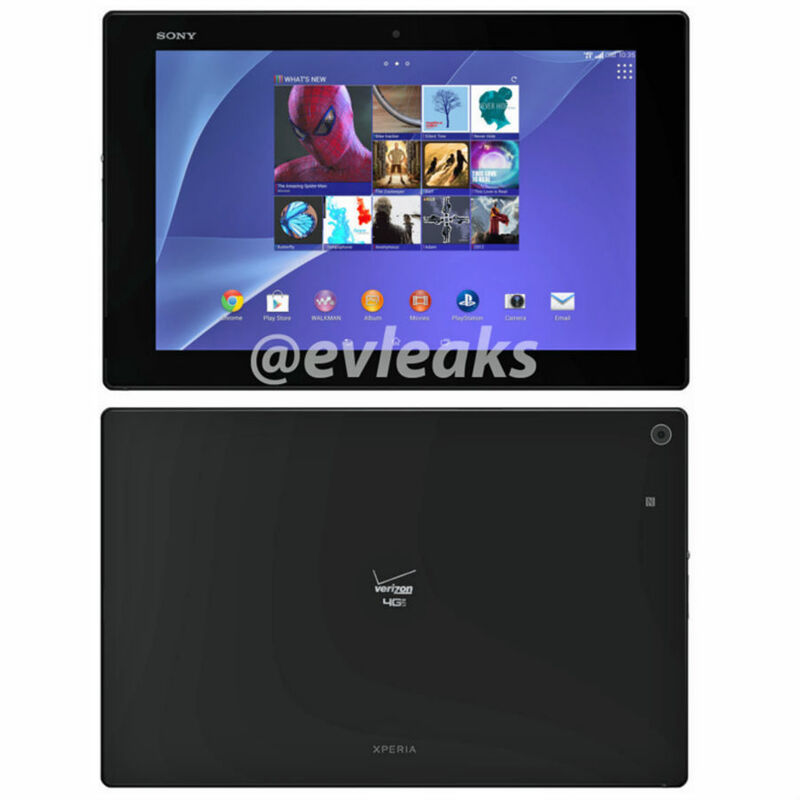 We've seen a leaked shot of the Xperia Z2 bearing Verizon's markings, and now it's the Xperia Z2 Tablet's turn. 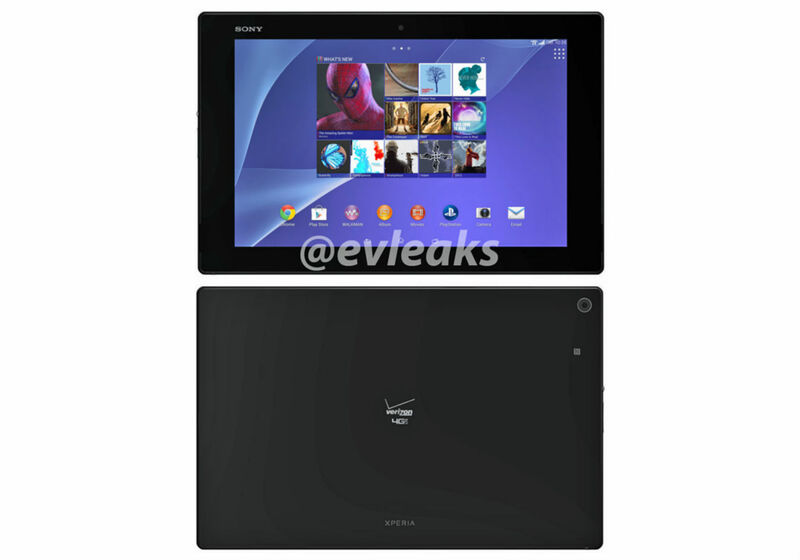 @evleaks has shared an image depicting the Sony Xperia Z2 Tablet with the carrier's branding centrally located square on its back. You know it's Verizon's because its logo is larger than the manufacturer's. At 6.4mm, the Xperia Z2 Tablet is very thin, and at 425 grams, it's very light. The device comes with a 10-inch 1920 by 1080 display, a Snapdragon 801 processor, and 3GB of RAM. This all makes it quite the high-end slate for Big Red customers to keep their eye on once it appears in a more official capacity. And heck, as far as Verizon products go, the logo isn't actually that bad this time around. I appreciate the restraint.